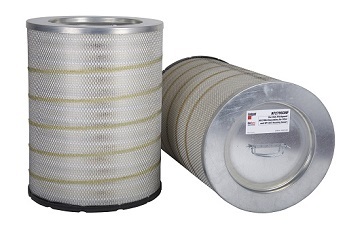 In the world of large off-highway equipment, small particles can quickly bring productivity to a halt. 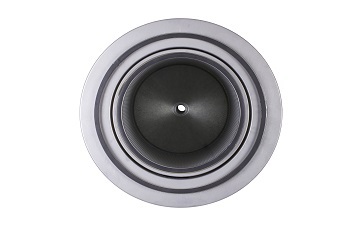 Due to the use of air pre-cleaners, the typical primary air filter is challenged with capturing dust particles in the 0-5 micron size range. 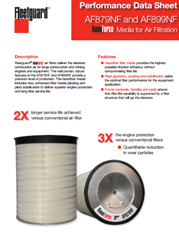 These tiny dust particles wreak havoc on pistons, rings, liners and many other engine parts. 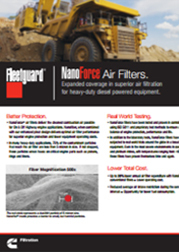 NanoForce® filters combat tiny particles at a submicron level, removing and retaining the particles before they reach engine components. 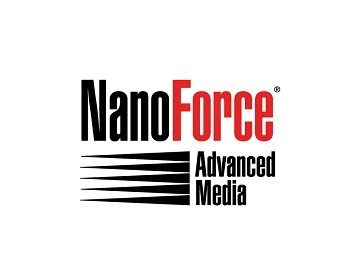 NanoForce nanofibers have a much smaller diameter than a human hair. 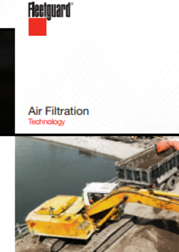 The nanofibers working together with cellulose-based media ensure the most advanced air filtration engine protection currently available in the industry.